The city of Los Angeles gets about 12 percent of its water from underground sources. 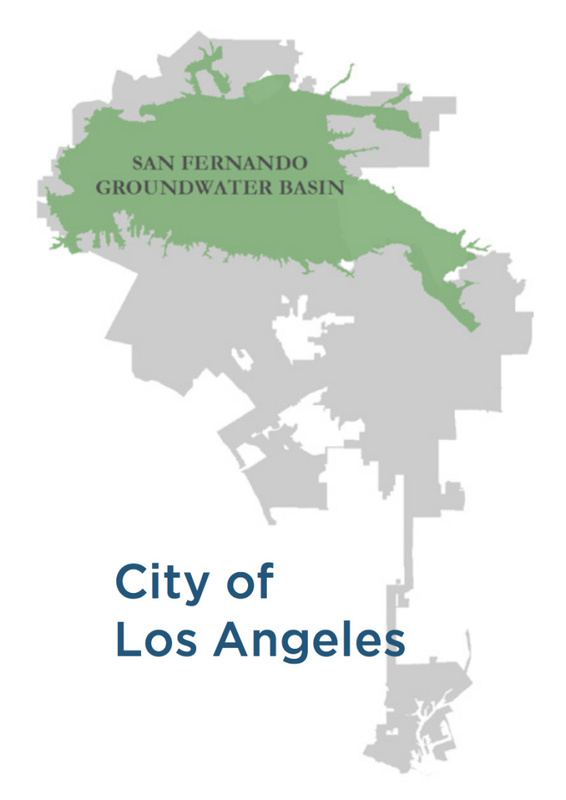 A big gulp of that groundwater comes from the San Fernando basin. But for decades, parts of this basin have been polluted with toxic contaminants released by manufacturing industries, including aerospace company Lockheed Martin. It's left the water and its wells unusable. Now, through a settlement with the Los Angeles Department of Water and Power, Lockheed Martin is going to clean up 1.5 billion gallons of groundwater per year, pumping it in North Hollywood and treating it in Burbank before handing it over to the DWP. So, what will that cleanup operation mean for drought-prone L.A.? In the short term, not a lot. 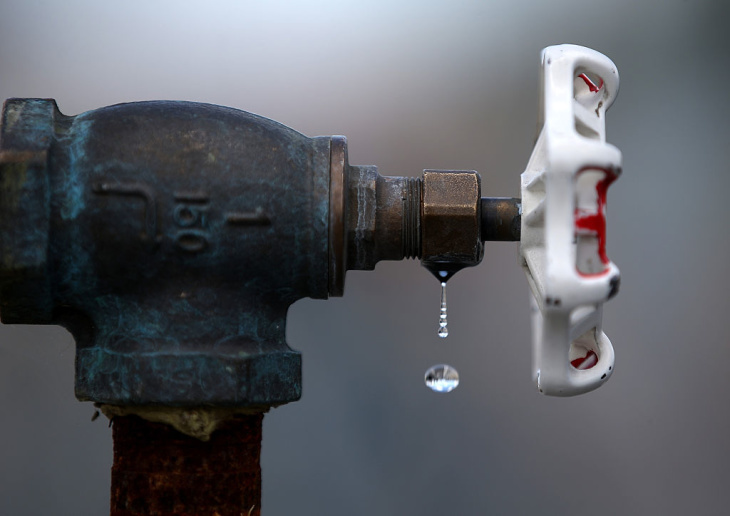 Currently, the Valley's aquifers account for less than 10 percent of L.A.'s water. But that could change if they're cleaned up. There's about 3 million acre feet of groundwater under the Valley, and about 1 million of it could be usable. But how did our groundwater get so toxic in the first place? To put it simply, more people and industry. Back before the San Fernando Valley was a sprawling suburbia, it was sprawling farmland watered by wells and the L.A. Aqueduct. But as the city's population grew in the last century, it also became the site of industrial operations, some of which started putting cancer-causing solvents like TCE and chemicals like PCE into the groundwater. It's kind of a tough thing to say, but the industries that helped the U.S. win WWII and defense manufacturing during the Cold War also left a terrible legacy of pollution. Lockheed Martin was one of many polluters across the Valley and was based at the site of today's Hollywood Burbank Airport from the 1920s on, building planes and later testing aerospace components well into the '90s. It was a source of excellent middle-class jobs and contributed to making the San Fernando Valley a vibrant attractive suburb. But all the while, the Lockheed plant was polluting, and not enough was done to stop it. They didn't even detect it until 1980, as part of a national testing program for water quality. That's when officials discovered they had tainted groundwater. Not just from Lockheed, but one-quarter of the water wells in the San Fernando Valley had levels of these chemicals higher than what the state said was safe. Lockheed has been working with other jurisdictions whose water was polluted, starting in the cities of Glendale and Burbank, where the company built treatment plants to clean the water. But the underground plume of pollution moved into North Hollywood, which is L.A. city territory, said Paul Liu, a manager for water resources in the DWP. But the North Hollywood treatment plant was at full capacity, so rather than increase the size of that plant, Lockheed is promising to build a pipeline to take the water to its Burbank treatment plant, where it has the capacity to treat the tainted water and return it to LADWP. That's what the settlement accomplished. Right now, contaminated water comes out of tainted aquifers, gets treated, then put into local water systems. It's going to be decades before it's removed enough of the tainted water and replaced the water in the aquifer with new storm runoff for us to be able to pull water directly from the aquifer and use it with just the standard water treatment like chlorination. Increasing L.A.'s groundwater storage is an important part of the city's conservation efforts. Any water that LADWP can store underground for future use reduces what we have to purchase as imported water from the Colorado River or the State Water Project from Northern California. L.A sees underground aquifers as a needed place to hold any excess water we can catch as storm runoff or excess water that comes to us on the L.A. Aqueduct in heavy snow or rain years. Meanwhile, L.A. County plans to increase the amount of storm runoff through money raised on the new Measure W parcel Tax. Mayor Eric Garcetti called the agreement historic, but that might be a stretch. This settlement takes care of just one piece of the pollution plaguing Valley aquifers. The 1.5 billion gallons of water that comes from this settlement annually is about a year's supply for 7,000 households, roughly 1 percent of LADWP's water customers. The utility says the water supply represents about $170 million in savings on future imported water purchases. There are other polluters, so despite this deal, it will still be decades before water utilities can pull unpolluted water out of the ground. This action is more of a continuation of one company's existing efforts to clean up the water. It's a good thing that Lockheed is working in collaboration with the city to remove pollutants in the underground water, but they were the ones who put it there.